The impact of a University of Adelaide education has spread far and wide for one Adelaide family whose connection with the institution goes back 100 years. Four generations of the Daniell/Crisp/Mattner families have attended the University since Edward Mattner enrolled to study arts, science and education before enlisting in World War 1 and serving on the Western Front. In the intervening century, more than 20 extended family members have walked across the graduation dais in Bonython Hall to receive their degree parchments. In fields as diverse as engineering, arts, science, agriculture, medicine and maths, the Daniell/Crisp/Mattner clan has left an indelible mark on the world. 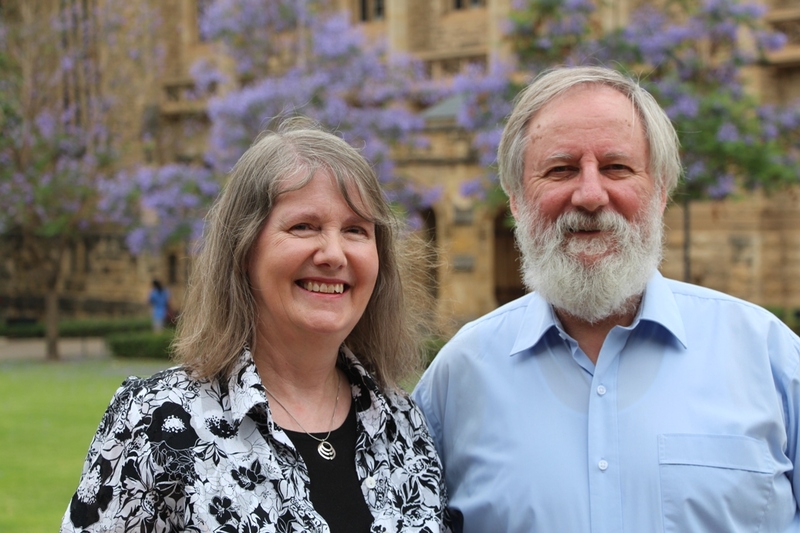 They include a Rhodes Scholar (Finlay Crisp in 1938) and Australia’s only siblings to win the country’s most prestigious postgraduate prize, the General Sir John Monash Scholarship (James and Katherine Daniell). The latter’s parents, Trevor and Anne Daniell (engineering and arts graduates respectively), say their family owes much to the University. “Four generations of our family have studied here and the education they have received has given them the confidence and skills to go out into the world and achieve in their respective fields,” Anne said. Associate Professor Trevor Daniell, a water resources expert in the School of Civil, Environmental and Mining Engineering, said his experience as an undergraduate student laid the foundation for a fulfilling life. “Through sport at Adelaide Uni I met a huge cross section of people who have become friends for life and stimulated me intellectually as well. 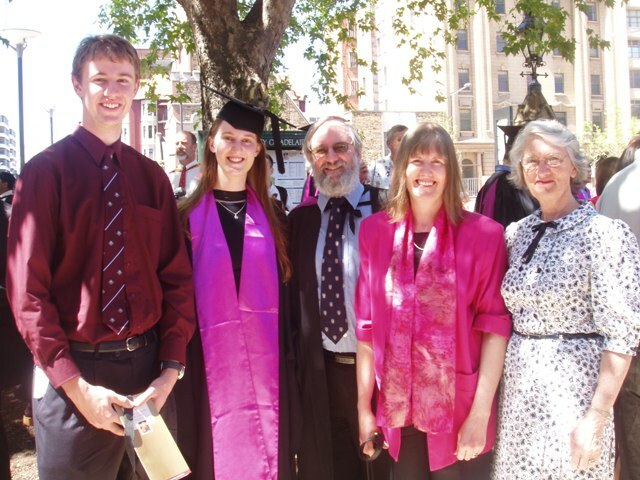 The leadership skills developed through my association with different clubs and associations at university has served me – and my children – extremely well in all aspects of our life,” he said. Anne’s uncle, Finlay Crisp, helped establish the National Union of Australian University Students, the forerunner to the Australian Union of Students (AUS). The 1938 Rhodes Scholar became Director General of Postwar Reconstruction and later in his life served as Chair of the Commonwealth Bank. Meanwhile, Edward Mattner became one of Australia’s most highly decorated soldiers in the First World War and later entered federal politics, becoming President of the Senate. 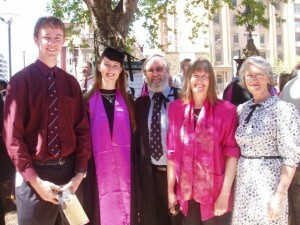 Fast forward three generations to Katherine Daniell and her brother James, who are both University Medallists. The two, who followed in their father’s footsteps and studied Civil Engineering, have benefitted from University of Adelaide scholarships which enabled them to study part of their degrees abroad. “This exposure to other cultures and countries was made possible thanks to the University and it has given them a much broader life experience than otherwise would be possible,” Trevor said. “Their immersion in all aspects of university life, including studying a language and befriending many foreign students, also played a major role in helping them win the General Sir John Monash Award – Australia’s equivalent to the Rhodes Scholarship,” he added. Next year marks the 100th anniversary of the Daniell/Crisp/Mattner clan’s connection to the University. “It’s a wonderful milestone and it makes me feel proud to have been a part of its history,” Trevor said. This entry was posted in Engineering, Maths and Computer Science, Health Sciences, Humanities and Social Sciences, Sciences and tagged Crisp, Daniell, global careers, graduations, Mattner. Bookmark the permalink.